Start here if you are applying for a business license in the City of Martinez for the first time. Start here to renew your current business license for another year. 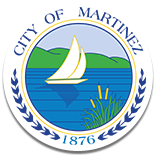 Start here to pay a balance due on an established account with the CIty of Martinez. Please do not use this option to begin the license renew process.